One of my favorite posters is one that is filled with the names of Jesus. From a short distance, it presents Jesus in all of His majesty by the listing of numerous names for Him found in the Bible. In fact, we attended a church while we lived in Florida that had the names of Jesus engraved in glass and illuminated on the back wall behind the pulpit. It was definitely a focal point in the church and one that literally brought light to His awesomeness. We find many references to Jesus in the Bible. Besides his given name of Jesus, there are some other names that refer to Jesus that indicate His person and position. Likewise, there are references that tell us how Jesus was described in the Old Testament and there are references that tell us how Jesus was described in the New Testament. But, there are many more names for Jesus found in the Bible that indicate Who He is, both directly and indirectly. A Few Examples of Names for Jesus? Day Star (2 Peter 1:19) Note: Bibles that use corrupted manuscripts unwittingly use the term Day Star to describe Satan in Isaiah 14:12, which has led some people to believe that Jesus and Satan were both angels and even twin brothers in some circles! Her seed – “And I will put enmity between thee and the woman, and between thy seed and her seed; it shall bruise thy head, and thou shalt bruise his heel” (Genesis 3:15). A Lamb (Genesis 22:8; Revelation 5:6; Revelation 7:17; Revelation 14:10; Revelation 19:9; Revelation 22:3). 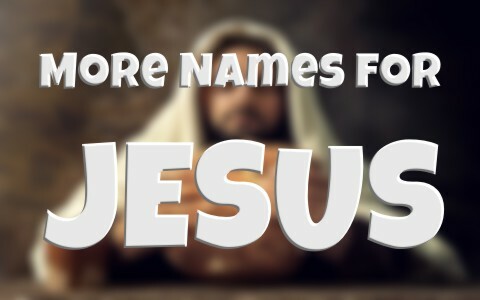 While there are many more names that can be mentioned, it is clear that no matter how He is referred to, His name is above all names and at the name of Jesus, every tongue will confess and every knee will bow (Romans 14:11; Philippians 2:9-11). We find many references to Jesus in the Bible. There are names that refer to Jesus that indicate His person and position. There are names that tell us how He was described in the Old and New Testaments. And finally, there are names that indicate Who He is, both directly and indirectly. But, no matter what name is used, there is only one name under heaven whereby we must be saved, Jesus Christ of Nazareth (Acts 4:10-12). May we live our lives in a way that brings nothing, but glory, and honor, and exaltation to His name! Resources – Scripture quotations are from The Holy Bible, King James Version. (1) Williams, Michael, (2013). Bible Doctrines. Albuquerque, NM: Selah Mountain Bible Institute. Previous post: Is The Bible A Reliable Historical Source? Next post: How Did The Calendar Begin And Why Did The Years Change After Jesus Was On Earth?